I’ve not always been good at makeup and to be honest I am still learning. However, I always remember a makeup artist saying to me it starts with the perfect brow. 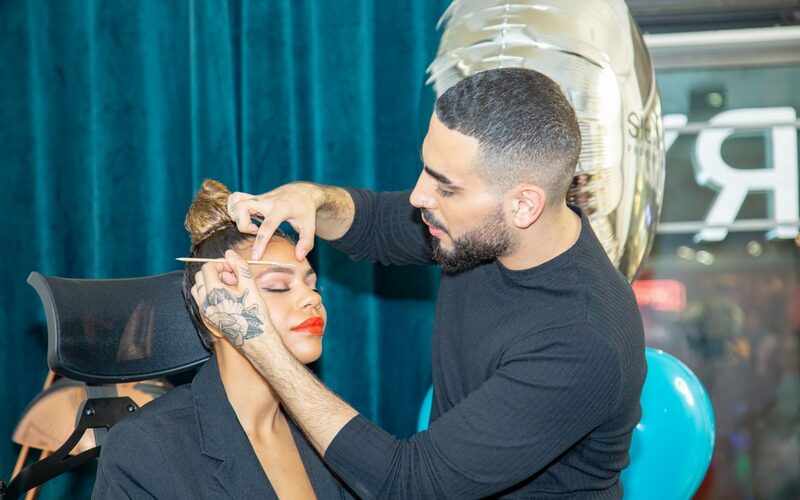 Sienna X have just launched a new Eyebrow collection and Salih ‘The Eyebrow King’ was giving a demonstration on how to create this perfect brow. Let’s just say when you get an invite to an event like that it is one not to be missed. Sienna X is originally a tan company and the founder was the first person to create the tanning tent. With them being innovators I walked in expecting the same creations. I arrived at the Duck and Dry in Fitzrovia to a donut wall, two thrones and décor like no other. Let’s just say I had photos for days for Instagram thanks to this salon. Duck and Dry is not your conventional salon, with a bar area and free flowing prosecco. The bar was my first area to visit however on my way there I spotted the man himself. Standing by the two thrones Salih was taking selfies with his guests and his eyebrows were perfect. 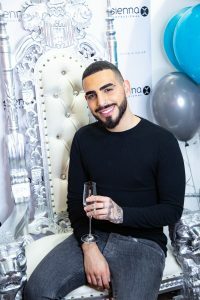 Instead, I headed straight over to him and had a casual chat about how he got started, his favourite product from Sienna X and how to create the perfect brow. After a short catch, up I headed back to the bar to grab a prosecco and then visited the donut wall. Krispy Kreme’s are my favourite and there were a lot for us to eat. We were then advised that the demonstration was about to begin so we all headed to the stage area where Salih picked Influencer @Amberleaux to have her eyebrows slayed by him. This part was technical and involved him actually tinting the eyebrows before he waxed and tweezed them. She was over the moon when he compared her eyebrows to Beyoncé. What’s available to purchase you ask? Our goodie bags contained an eyebrow pencil, illuminator duo and the micellar water. I must admit I have a new favourite brow kit. The eyebrow pencil has a fixing serum on the other end and it is the best I have used. The pencil end creates perfect brush strokes to help create that perfect brow. The illuminator duo has a matte side to help conceal around the brow and I was a bit dubious about the shade. However, it blended perfectly and when you use the Champagne illuminating highlighter your brows pop. The Sienna X event was amazing the only sad thing was that Salih didn’t do my eyebrows. Lucky for me he takes normal appointments I just need to send that email. 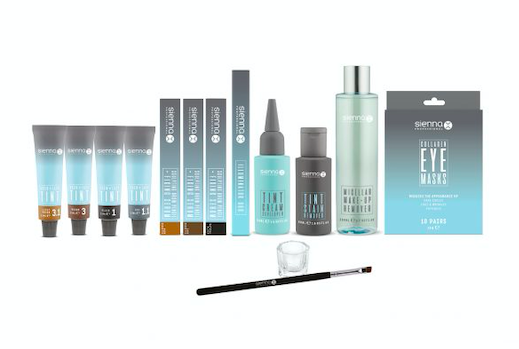 For now, though I can use my great new eyebrow essentials from Sienna X. If I can use them to create the perfect brow then trust me you can too.